Before you read this, just understand that this is nothing but a short rant of a basketball fan that has had enough of the garbage that is Carmelo Anthony’s game. I am not here to give you the details. If you’ve been watching the games, you simply understand what I am talking about. I am infuriated these days when I watch the New York Knicks play. 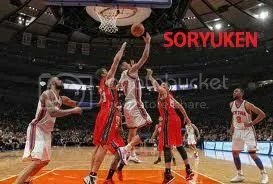 Linsanity ended the moment Melo laced ’em up again. Not that Melo isn’t causing problems on the offensive end with his black hole style, but his offense was never my concern. The problem with him has been and always will be on the defensive end. The dude just doesn’t try. I am sick of watching him float around instead of closing out on shooters he’s supposed to rotate to. It’s maddening to see him stand around instead of boxing out and going after the ball the way a man of his size at his position needs to. He, along with Amar’e (will have to save him for another day), has to be one of the worst defensive combinations in the league, if for no other reason than the total lack of effort. The casual fans will want to see you score. The real fans are begging to see a defensive effort before anything else. During the All-Star break, Stephen A. Smith asked Melo to name the top-five players in the league. He included himself along with Kobe, Lebron, Howard and KD. Melo is a fitting name because that’s exactly what he is. He, in fact, is mellow on the court and there’s nothing intense about the dude’s game. It’s as if he’s just chilling out there until he gets his chance to shoot. You know who else is really chill? 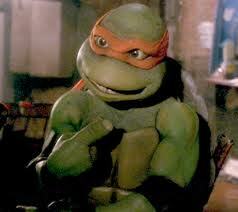 TMNT member Michelangelo. 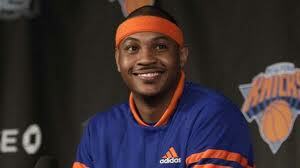 Melo should beam “Cowabunga dude!” whenever he makes a shot. At least it would be entertaining. By now, the story of Jeremy Lin has been beyond well documented and most are well aware of what he has done for the Knicks, coming out of nowhere from blah blah blah. Let me spare all the formalities of discussing his background and get straight to the point. Jeremy Lin is unstoppable on offense. That sentiment is not a hyperbole. I have discussed Lin’s qualities as a point guard here, but did not previously have enough games to evaluate his abilities as an offensive weapon. Point guards, or any guard for that matter, don’t usually possess the type of all around skill sets Lin has shown purely from a scoring stand point. It’s not unfair to say this aspect of his game has been somewhat overlooked because of the focus on how well he can or cannot run the team as the point guard. Lets look at all the combination of qualities he has displayed on the offensive end thus far. 1. 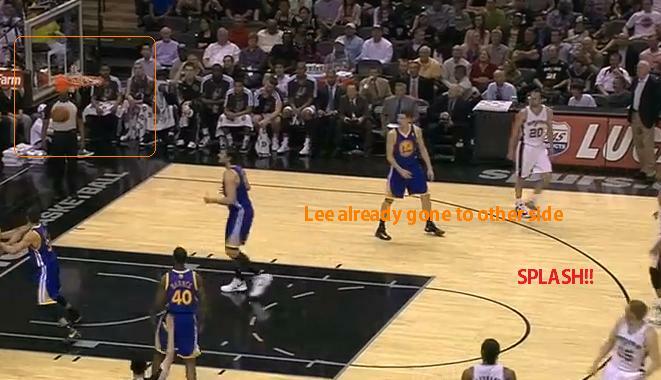 Blow by first step – I have yet to see a single player that can stay in front of Lin on isolation situations. This allows him to consistently create for himself (and others of course). Contrary to what he does for the team, no one else really creates any shots for Lin. 4. Step back jump shot – His ball handling, including cross-over and hesitation, allows him to create separation to get a shot off at any time. 5. Quick release – It’s not a coincidence that not many defenders can bother Lin’s shot. Click the link for details. 6. Floater in the paint – He knows when to take the floater when the defense fails to recover on time instead of trying to finish at the basket every time with a hand in the face. Many point guards fail at this part of the game, as the mid-range game is one of the toughest to master. 7. A strong finisher at the rim – The guy can flat out finish baskets with either hand, a valuable asset for point guards. He has converted 35-of-60 shots at the rim including two dunks, good for 58% on the season. 8. Create contact and finish – This is where his underrated size comes into play. At 6’3″ and 200lbs, he can take a solid hit from the biggest players in the world and still finish at the rim. Lin already has 12 and-one plays. His aggressive style of play often forces the whistle(though still not enough in my opinion) to be blown. This means two things: get the opposition in foul trouble, and get to the line consistently. As a starter, he has averaged over 8 attempts per game from the free throw line. Converting them is another story (70.8%). 9. Shot selection – How often do you see a player taking an absolutely ill-advised shot? Too often by my count. Just about every shot he takes comes from what the defense gives him rather than because he is on a hot streak. No “heat check” shots from Lin. 10. Fearless and clutch – As good as Lin has been, he saves the best for last. In the fourth quarter, he has shot 29-of-54 for 53.7%, besting his first three quarters by nearly 6%. He becomes a tougher offensive player when the moment gets bigger. At the end of the day, we have a point guard who, through the first 8 starts of his career, has led his team to a 7-1 record shooting 50.7% from the field and averaged 25 points on 17.8 attempts per game. Usually, you don’t want your point guard to shoot nearly 18 times per game. When he converts more than 50% of them, however, it becomes a necessity to utilize it. Indeed, among all starting point guards that attempts at least 10 shots per game, Lin’s field goal percentage trails only the player he is often compared to these days: Steve Nash. We’ve seen the criticism of heavy shooting point guards such as Russell Westbrook and Derrick Rose in the past for shooting too much at times, but they’d get far less criticism if they converted 50% or more of those shots. It takes a truly cerebral and special offensive talent to possess and execute so many weapons. From a scoring stand point, he is one of the most sound players we have seen in a long time at the point guard position. His passing is very good, turnovers and all, but his ability to find players largely stems from what he can do offensively. It should be difficult to figure out when to shoot and when to pass when you are so efficient at such a young age, but again, he has found a way to to do both based on what the defense gives him. As he often says about the opposition’s defense, “something has to give”. If Lin can bring up his free throw percentage, look out. Anyone that wonders whether Lin can continue to play well with the return of Carmelo Anthony, ask yourselves if his skill sets are suddenly going to disappear. As long as the ball starts with Lin, we will continue to witness a special talent evolve before our eyes. Because of Lin, the Knicks are contenders in the making this season. This season. There are many skeptical analysts and fans about the sensation that is Jeremy Lin. There is certainly some logic/reason for this, as the sample size is simply too small and two to three games does not make a player. I questioned whether he could sustain such a high level of play after hisfirst sensational game against the NJ Nets. Logic and history suggested that once teams actually prepare for him and adjust defensively, he would struggle. Still, like most, I believed the Knicks at the very least found a temporary solution until they can get Baron Davis back. 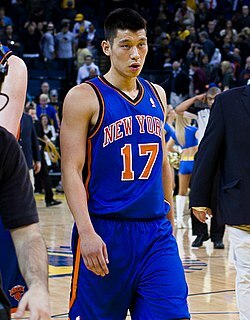 After watching Lin lead the Knicks as a starter for two more convincing victories, however, I am now fully convinced that a star has been born. What I am not sold on are those that claim that Lin is one of the following: fluke, competent, solid second stringer, and regress to the mean(whatever that means). The qualities listed aren’t flukes or the result of a hot streak. They are permanent qualities that aren’t going to suddenly disappear. The description of his qualities formulate to a point guard that can dominate games if given the reigns. He has been given the reigns. Mike D’Antoni certainly seems to agree, and what he thinks is relevant because none of this happens if D’Antoni doesn’t give Lin a chance to play. And so much of the NBA is about the chance and opportunity to showcase talent. Some of Lin’s weaknesses include the following: a suspect jump shot, lack of range, and weak going to the left. The fact of the matter is, there is no player that doesn’t have weaknesses. Everyone has flaws, and to write off a player because of certain weaknesses would be a mistake. I remember when doubt rose about a certain Frenchman point guard that could not shoot consistently early in his career. How did that turn out? Another argument brought up is the fact that Lin’s ridiculous streak of dominance came against terrible teams. The problem with that argument is the Knicks have been one of those terrible teams. They were supposed to be astronomically bad when both Amare Stoudemire and Carmelo Anthony were lost for various reasons. It was supposed to be the reason for why the Knicks would lose games in their absence, not an excuse for why Lin would dominate because of it. Of the three games Lin dominated, two of them were mostly played with the following lineup: Lin, Fields, Walker, Jeffries, Chandler. On paper, it is arguably one of the worst if not the worst NBA lineup in the league. 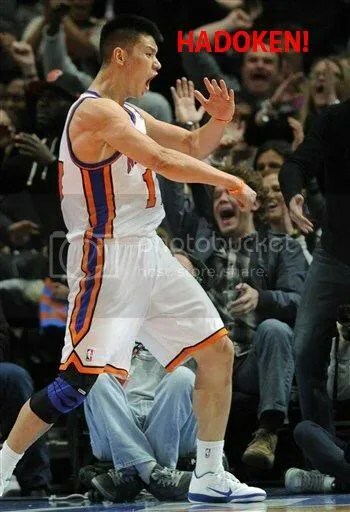 Lin should be praised the way he praises the Lord for winning despite such dire circumstances. Anyone simply looking at who the Knicks played to get the wins isn’t looking at the circumstances of why the Knicks should not have won. The one argument I can agree with is the fact that he is unlikely to continue this torrid pace. He has averaged 25 points, 3.7 rebounds and 8.3 assists on a blistering 58% from the field. Though that likely wraps him up for a player of the week honors, it would be foolish to believe those are sustainable averages especially when the starters come back. Just because he can’t sustain those types of numbers, it does not mean he can’t sustain a dominant level of play which is what matters the most. He does not have to average 25 points per game to be as equally as effective as he has been. Remember, this is not some 29 year old from overseas that is about to pass his prime. He is only a second year player at the age of 23 with an accomplished background. There are reasons to doubt his current pace, but there is no reason to doubt his skill sets that allowed him to accomplish the current pace. Hey readers. 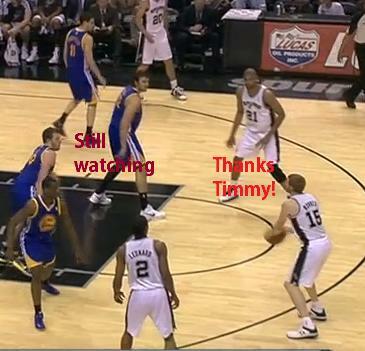 Go to the link above to see my write up of everything that happened last night in the NBA. Show some love! Jeremy Lin has always been a fan favorite, despite playing next to no real meaningful minutes in the NBA. As a Golden State Warrior, there was never louder cheers than when Lin entered a game. Same remained true when he became a Knick, but he was still regarded mostly as a bench warmer. All of that changed tonight when he outplayed one of the best point guards in the game in Deron Williams and helped the Knicks defeat the Nets 99-92. The Knicks had just come off back to back games and was in the midst of playing their 3rd game in 3 nights. It showed as the Nets got out to an early 30-20 lead, getting any shot they wanted and deflating the impatient MSG crowd. In came Lin off the bench who changed the complexion of the game by controlling the tempo and making crisp passes en route to an unexpectedly productive first half. 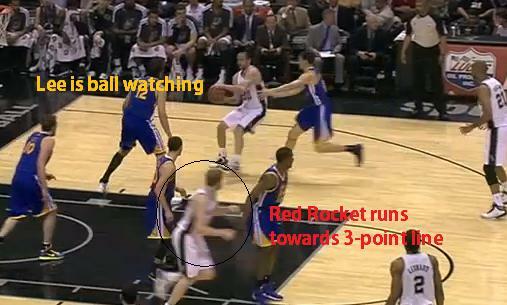 He also helped in holding Deron Williams scoreless in the second quarter. Still, no one could have predicted what was to come, as everyone was still mostly just surprised at how effective Lin had played in the second quarter. As the third quarter began, the usual stagnant Knicks offense continued, so in came Lin with over 8 minutes left to play which helped put players in their natural positions. That alone helped the Knicks find a better flow. However, Melo’s shot was terribly off and their options on offense were limited because Amare was out with foul trouble. The Nets decided to double and triple team Melo, leaving Lin wide open for jumpers. Lin seemed exposed as he missed 4 straight wide open shots. The Nets took advantage of the short comings and built a 7 point lead late in the 3rd, threatening to open up the game. Still, Lin managed to have a positive effect on the game by doing the little things like taking charges, playing with energy, and diving for balls like players on a desperate team should. And then suddenly, he started doing big things. With only about 2 minutes left in the 3rd quarter, Lin drove to the basket as the Knicks spacing gave him an opening with no help behind Williams. 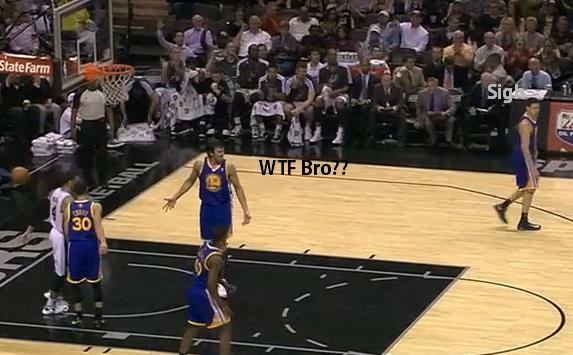 He converted a 3 point play as Deron fouled him. It was a huge momentum breaker for the Nets who likely didn’t even have Lin on their scouting reports. On the Knicks final possession, Lin once again drove to the basket and converted a 3 point play, nearly evening up the score at 72-70. The crowd was in an absolute frenzy as they chanted “JER-E-MY”, but the night was only going to get better. As the fourth quarter began, Jeremy looked noticeably tired. At this point, it was obvious that he was playing purely on adrenaline as he had never come close to playing for so long in an NBA game. Despite belief that he would need a breather, he stayed in the game and continued to attack. Realizing the defense gave him enough space to shoot, Lin let a 15 footer fly. Bang. 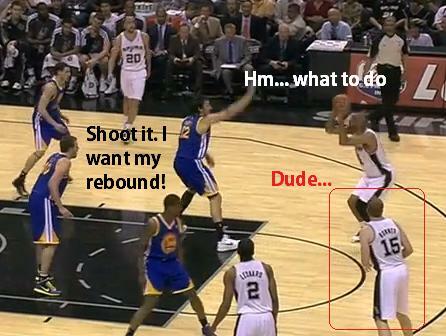 When he wasn’t scoring, he made all the correct passes to set teammates up for good rhythm shots. When the defense gave him enough space again, Lin let another 15 footer fly. Bang again. 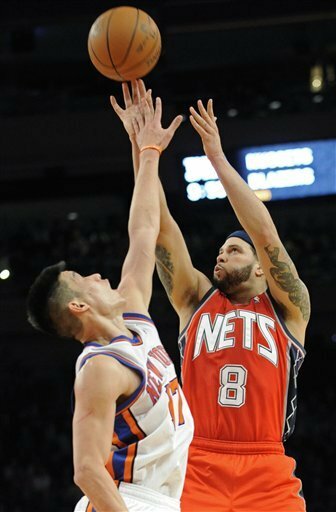 Defensively, he frustrated and limited Deron Williams to a 7-19 shooting night. It became apparent that Lin had complete control of the game. As the jump shots began to fall, the defense tightened. 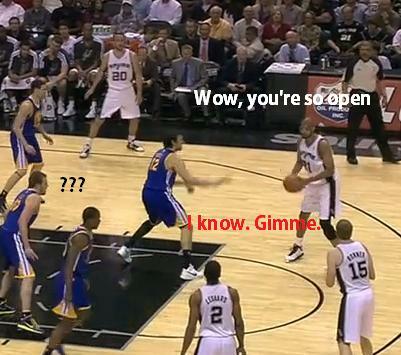 He saw an opening and drove to his left for a reverse lay up. Even he could no longer keep his normally stoic face as he broke a big smile. The entire arena, including the team and even the Nets broadcasters(I witnessed this game through their broadcast as well), could not believe what they were witnessing. “It’s the Jeremy Lin show here at MSG!”, Mike Breen would shout. “Winning and grinning!”, beamed Walt Frazier. “Jeremy Lin is unstoppable!”, yelled Ian Eagle. Down the stretch of the fourth quarter when the team needed it the most, Jeremy split a double team and drove to the basket for yet another and one finish prompting him to do a fist pump and a scream of “Lets go!”. It was a fitting reaction as he wrapped up the best basketball game of his life. In total, he converted 4 baskets while being fouled, and the game was effectively over after his final drive to the basket right through Deron Williams gave the Knicks an 11 point lead. His stats for the night looked like this: 10-19 FG, 5-7 FT, 25 points, 5 rebounds, 7 assists, 1 turnover, 2 steals. On a night where Carmelo Anthony shot 3-15 for 11 points and Amare Stoudemire could only muster 25 minutes of play due to foul trouble, Jeremy Lin became the most unlikely yet the most necessary hero to win this game. It showed that until Baron Davis comes back, they have a real point guard to run the team. It also may have saved D’Antoni’s job. After coming off two very tough losses, this was an absolute must win game for the Knicks who are now 9-15, good for 1.5 spots behind the 8th seed. A wonderful opportunity has knocked Lin’s door. It’s not every day a point guard desperate to land on an NBA team lands on an NBA team that has never needed point guard play more than these Knicks. Lin was finally given the opportunity to play and he ran away with it as hard as he could tonight. It remains to be seen if Jeremy Lin can sustain this level of play. Teams will surely adjust accordingly now that he has had his coming out party. For at least one game though, he put MSG and Knicks fans all over the world in a state of ecstacy with his shocking play. MSG hadn’t been so loud in so long. The Knicks and its fans needed someone like Jeremy as much as Jeremy needed the Knicks.